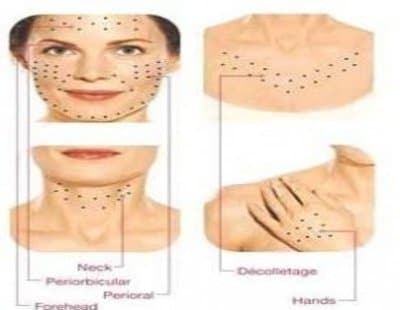 Mesolift is an application of classic mesotherapy. This technique was invented in 1952 to treat pain, for twenty years it is used in aesthetics. The treatment is completely painless and can be administered in any season and on all types of skin. It aims to improve the skin’s glow, its tone, hydration, elasticity and hence, reduce lines, and eventually, wrinkles. – Dull and dehydrated skin. – Skin which has lost tone and elasticity. – It can also act as a preventative measure on young skin without any particular problems. After cleansing and disinfecting the skin, the injections can be carried out by handgun (type U225) or manually with an injector pen. – Intra-epidermal : multiple injections at a depth of 1mm, no resulting bleeding. – Surface dermis – papule : 0.1ml is injected at a depth of 1-2mm, creating a temporary wheal (or papule). – Intra-dermic-cross hatching : the injection is administered at a depth of 2-4mm without creating a papule. 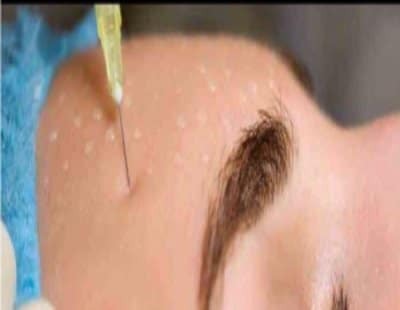 – Deep dermis : the injection is administered at a depth of 4-10mm. Skin can be washed 12-24hours after the treatment. Mesotherapy is a treatment with progressive results, and thus demands at least 6 sessions (3 months) for a clearly rejuvenated skin. – Phase 1-initial phase: 4 sessions at 15 day intervals. – Phase 2-repair phase: 2 sessions at monthly intervals. – Phase3-upkeep phase: one session every 2-6 months. – Hyaluronic acid, for its hydrating and regenerating properties. – Vitamins, to stimulate vital cell function. – Minerals, to preserve the ionic balance of the extra cellular matrix. – Amino-acids, to encourage protein synthesis. – Coenzymes to maximise skin metabolism. – Nucleic acids to activate cell communication. 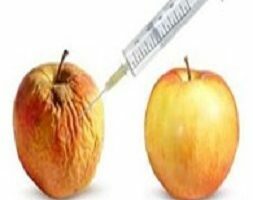 – Anti-oxidants to trap free radicals responsible for skin ageing. There are very few possible side-effects or follow on effects. A rash or light swelling might last until the end of the day of the treatment. There is no risk of infection (because the hygiene standards are respected), no case of allergic reaction to the products has been reported. I wished to revitalize the skin on my face, I tested mesotherapy. The result is noticeable from the day after the procedure. My skin became more luminous and plump thanks to mesotherapy. Doctor Romano gave me very good advice and proved to be very attentive. I found the skin on my face dull, mesotherapy gave it a radiance boost, the injections were painless and the result was very natural. Mesotherapy allowed the hydrating of the skin of my face. Thank you Doctor Romano for this act with spectacular results.